What will others remember me for? Today is a sad day. 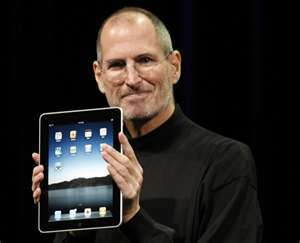 Steve Jobs passed away. Is it possible to miss someone you never met? I think so. There are people who leave behind a legacy so great that its ripples affect lives across boundaries of time, distance and culture. Steve Jobs was such a person. You probably know the story. Steve and his buddy Steve Wozniak started a little company in a garage. They built an odd-looking machine and called it the Apple. The Apple II followed. And then the real fun started. The Macintosh, iMac, iPod, iTunes, iPhone and iPad came along, each one a revolutionary product, each one setting a new standard for ease of use. Steve had a knack for taking complex technology and making it simple. That’s one of the things he will be remembered for. He tended to shun market research, and instead developed products that he knew in his gut his customers wanted. Products that were simple and easy to use. And that simplicity struck a chord with the world and made Apple – and Steve – modern icons. Jobs left Apple to pursue other interests and during his 12-year absence, the company floundered. By the time he came back, Apple was deep in red ink – over $1 billion of it. When asked how he planned to save the company, his response was simplicity itself. He said he would go back and meet the needs of Apple’s core customers. That’s another thing he will be remembered for. In a previous blog, we talked about creative thinking. (See terrynewberry.com/the flying pie ) Steve Jobs was a master – no, check that – he was The Master of this. From the very first funky little Apple I to the colored Macs to the iPad, Jobs was in a universe of his own. For example, he envisioned a cellphone that wasn’t just a phone. He wanted the iPhone to be a mobile computing device that was simple enough for anyone to use. He was one of the early pioneers who understood that the application (the App) was going to be king, and he wanted the iPhone to be central to that. It worked – to date iPhone owners have access to over 500,000 applications. It is no wonder that he has been compared to genius world-changers like Einstein and Edison, someone who will definitely be remembered for his creative thinking. 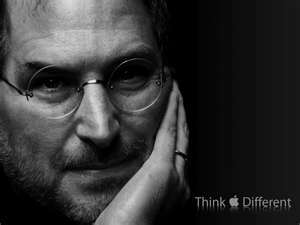 Steve Jobs will be remembered for his clarity, vision, focus on simplicity and creativity, and so much else. He leaves a vacuum in the universe that will never be filled. He was a unique talent, a unique human being. This entry was posted on Friday, October 7th, 2011 at 4:02 pm	and tagged with Apple, Einstein, impact, iPad, iPod, iTunes, Legacy, Macintosh, motivation, Steve Jobs, success and posted in Uncategorized. You can follow any responses to this entry through the RSS 2.0 feed. Good stuff Terry! Keep up the good work…you have a new fan and may God bless all your endeavors.